This is my current addition to my beauty routine! Still using my favourite products from Living Nature but now I have find a little gadget that maximize the efficacy of my cleanser so my skincare used after is better absorbed and more effective. Introducing Scandinavian multi-award winning brand Foreo. Foreo’s T-Sonic pulsation technology that has been clinically proven to remove 99.5% of dirt, oil and makeup residue. This helps to clear away dead skin cells and enhance absorption of skincare products and diminish the appearance of pores and refine sin texture. I decided to order the smallest device, the Luna Play (size of a macaron) for practicality and affordable price tag. It's a good introduction the Foreo T-Sonic technology. The Foreo Luna Play device is water-proof and sealed, made of silicone, very hygienic . The start button is at the back, with one speed, which I think is just fine. The silicon and it's bristles are very soft, you would think it's not cleaning enough! But actually, it does a soft non abrasive job and left my skin really soft. 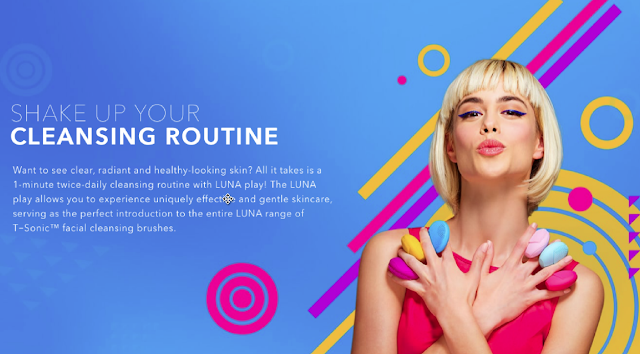 I use the Foreo Luna Play device every night for 1minute. 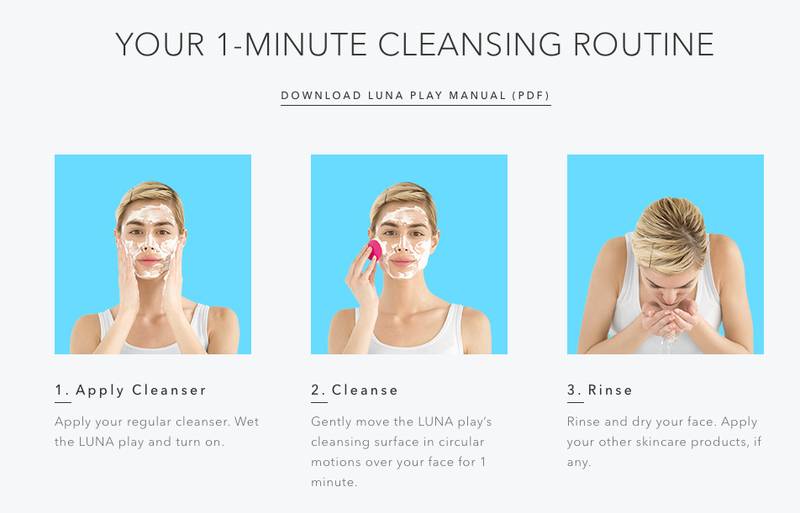 Easy to use, I believe it provide a gentle but efficient cleanse . It also promote micro-circulation and relax facial muscles to delay development of wrinkles. Well hopefully! Check out the whole range with it's different sizes, features and prices. 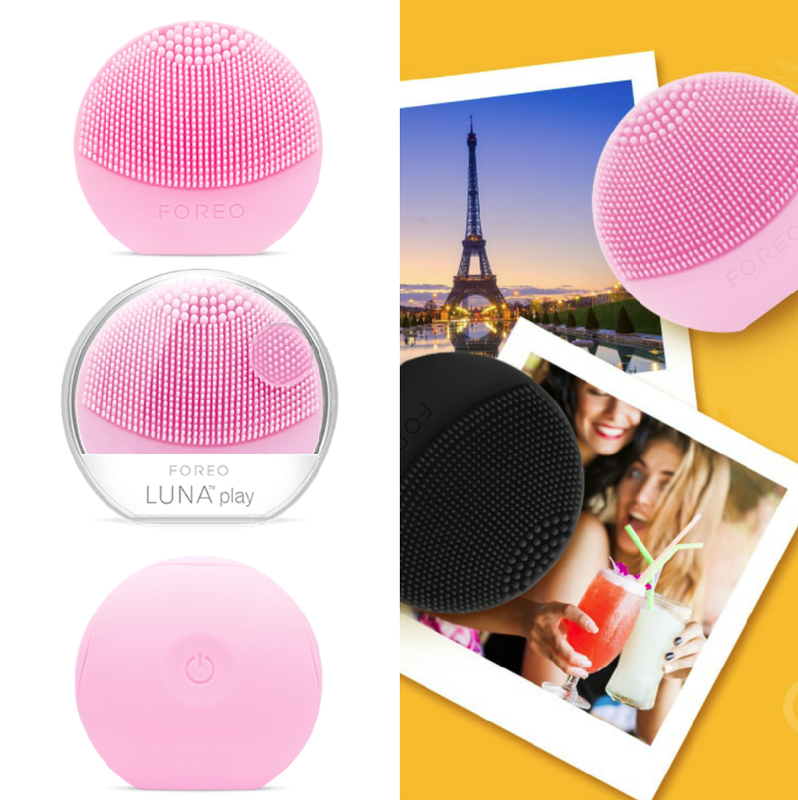 I am happy with this travel version, only down point is that contrary to the other Foreo devices, the Foreo Luna Go is not rechargeable. You can use for about 100, then toss it! Not the best, contributing to electronic waste. If I had read in depth before buying it, I would have probable buy the rechargeable version. Saying that love that it's a fun, compact and affordable device. A cute design with 2-zone brush for sonic cleanse. Leaving skin glowing in a minute. Fore Luna devices are available on mumzworld.com. Don't forget to use "DubaiourSandbox10" promo code to get 10% off on all your Mumzworld order.